RIO DE JANEIRO, Dec 3 2015 (IPS) - The aim to impeach President Dilma Rousseff is no longer merely a threat that was poisoning politics in Brazil. Now it may be a traumatic battle, but in the light of day. On Wednesday, Dec. 2 the speaker of the lower house, Eduardo Cunha, gave the go-ahead to impeachment proceedings to remove Rousseff from office. The motion was introduced by three jurists, including Helio Bicudo, a co-founder of the governing Workers Party (PT), and Miguel Reale Junior, a former justice minister. Cunha announced his decision shortly after it came out that the PT would vote against him in the lower house ethics council, which is investigating the money he has in Swiss bank accounts, presumably the product of graft and embezzlement in the state oil company, Petrobras – a scandal that has already affected 170 politicians and businesspersons. This confirms what the media has been commenting on, but which has not been publicly acknowledged by those involved: that there was a tacit agreement between the presidency and Cunha, which previously stood in the way of legal proceedings that could lead to the removal of Rousseff and Cunha. 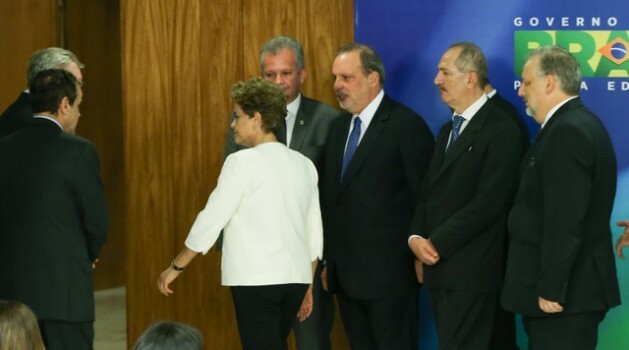 Behind the “embrace” between the president and the speaker, both of whom faced the threat of legal action, was Cunha’s opposition to the government, even though he is a member of the Brazilian Democratic Movement Party, the PT’s chief ally in the governing coalition. The PT has three seats in the 21-member ethics council. 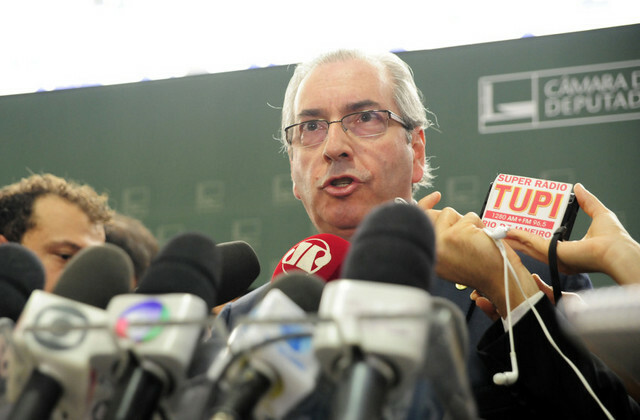 Its votes are considered decisive in the case of Cunha, who as speaker of the lower house has the authority to accept or dismiss requests for impeachment of the president. The three PT members on the council opted to align themselves with the leadership of their party and with public opinion, which is overwhelmingly opposed to Cunha, resisting the pressure from the presidency, which is more concerned about keeping the president in office and cobbling together enough votes to push through the legislative measures needed to help the economy recover from the current crisis. “The game has changed, there is another chess board now, with some light shining, after months of uncertainty,” said Fernando Lattman-Weltman, a professor of political science at the Rio de Janeiro State University. The analyst said “Cunha is finished, he won’t survive any longer now that he played his last card; he relinquished the weapon of blackmail” – the impeachment of Rousseff that he had been delaying. The speaker of the lower house, controversial since he was named in February, has been accused of violating “parliamentary decorum” by lying in March when he testified in the committee investigating the Petrobras corruption scandal, claiming he did not have bank accounts abroad. But the Swiss attorney general’s office refuted his claim several months later, and sent documents about his accounts to prosecutors in Brazil. Cunha had already been accused of taking bribes from companies that were rewarded lucrative Petrobras contracts, in the testimony given by four people facing prosecution in the scandal, who decided to cooperate with the justice system, revealing what they knew in order to reduce their possible sentences. This means it is unlikely that he will hold on to his seat in Congress. He will lose it if the ethics council rules that he violated parliamentary decorum and if a majority of the 513 lawmakers in the lower house vote in favour of that accusation. But his downfall would take several months. Moreover, he and dozens of other legislators under investigation could go to prison, but only with authorisation by the Supreme Court – the only legal body that can decide whether members of the executive and legislative branches should be tried. 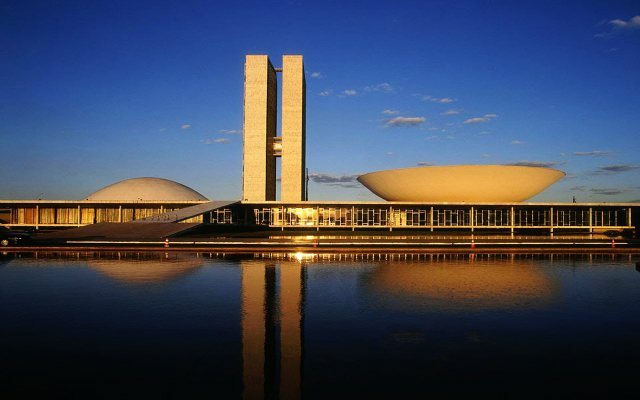 The removal of a president in Brazil requires a two-thirds majority in the lower house to authorise the impeachment trial, which is held by the Senate, where a two-thirds majority is also needed to find the accused guilty. It is a lengthy process, because it begins in a committee of legislators from all parties, represented in proportion to each party’s number of seats in the house. In this case, Rousseff is accused of violating Brazil’s fiscal responsibility law by signing decrees that increased public spending without authorisation from the legislature. The president denies any wrongdoing. Impeachment requires that a concrete crime be committed during the president’s current term. But it is a political trial, based on criteria that differ from legal trials. Former president Fernando Collor de Mello was found guilty in 1992 by the Senate, which barred him from holding public office for eight years, even though the Supreme Court failed to find sufficient grounds to convict him for corruption. One serious effect of the new political dispute is its impact on the economy, in recession since 2014, which many now describe as depression. GDP was 4.5 percentage points lower in the third quarter of this year than in the same period last year. Economists forecast a slight recovery in 2017. With unemployment standing at 7.9 percent in October against 4.7 percent in the same month in 2014, and annual inflation at 10 percent, Brazil is suffering one of its worst crises in history. The political chaos is making the situation even worse, by standing in the way of the adoption of necessary measures and generating uncertainty that has led to a reduction in investment, consumption and credit. To make matters worse, there was a threat of a paralysis of government this month, due to failure to meet the budget’s fiscal deficit target. But the government managed to get approval Wednesday to change this year’s fiscal target, allowing it to end the year with a primary deficit of 31 billion dollars, which eased the tension. Without that it would be necessary to cut all public expenditure, including water and energy in public buildings and travel by the president herself, such as her trip to the swearing-in ceremony of Argentine president-elect Mauricio Macri on Dec. 10. It was a triumph by the government, which won approval of several economic measures in the last few weeks, after suffering numerous defeats this year, especially in the lower house, where the speaker has a strong influence. “Cunha’s leadership is hollow, he no longer has power or legitimacy to demand loyalty from his allies,” said Antonio Augusto de Queiroz, director of documentation of the Inter-Parliamentary Advisory Department. Given the political bickering and the government’s difficulties, legislators “are responding to pressure from society and from economic players, on the argument that the political crisis must not paralyse the country,” he told IPS. “All politicians are worried” about the scandal unleashed by Operação Lava Jato or Operation Car Wash, the investigation by prosecutors and police of the fraud and corruption scheme designed to embezzle assets from Petrobras, especially since the Nov. 25 arrest of Delcidio do Amaral, the leader of the PT in the Senate. Recent laws, such as the one to combat organised crime and money laundering, gave “unprecedented power and instruments enabling them to take action” to oversight and law enforcement bodies like the prosecutor’s office, the federal police and the courts of auditors, “combating the culture of secrecy and strengthening transparency,” with positive effects for politics, said Queiroz.